Wow, you beat a fake lotus-7 modified, often an FTD go-cart. Did you keep the rear bar at max stiff? Did you add more toe out up front for the tight turns? Any other changes from last run with lowered car? BTW good idea to go with narrower tires for the HPDE event..
Yeah that rotary powered hand-built Lotus 7 was BA. He lead the class all day and I finally caught him on my final run. I kept the RSB at its stiffest setting and found myself wishing it was a bit stiffer - Its probably for the best that it isn't. 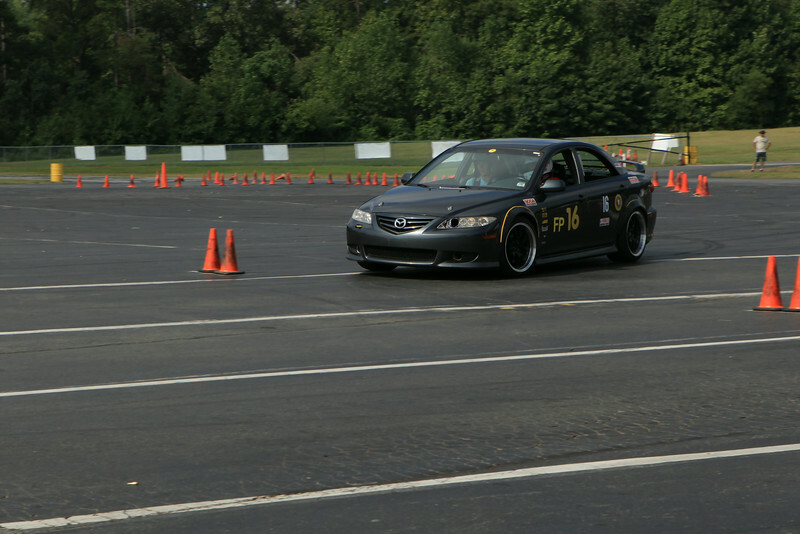 My preferred driving style is with the car a bit loose - but I was probably faster because the car was near neutral. I did add a bit more toe-out at the front and that seemed to help. I also lowered my tire pressures a bit - 36 in the front; 28 in the rear. I may have gone a bit too low. I think I'm bringing 3 sets of tires to VIR 275s & 245s race and 225s rains. Wait for VIR before possible changes for less understeer. Don't let some rotary guys push the 1.3L super engine on you. it's a simplified 4 cycle engine, that displaces 2.6L in 2 revs. 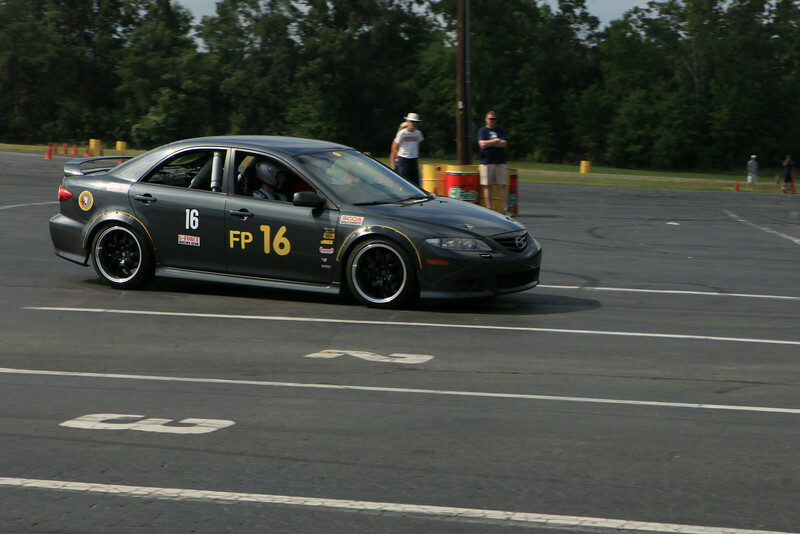 "I kept the RSB at its stiffest setting and found myself wishing it was a bit stiffer"
Another thing about my win: Everyone else in Prepared/Modified was on Race Compound tires (WR=40 or less). I was on street tires (WR=200). It is generally accepted that R-comps are good for 2sec on a 1min course. That would have put me in the top 25 raw. I've adjusted the RSB back to full soft tonight. I'd rather start at VIR with too much understeer than too much oversteer. I'll have plenty of opportunity to adjust it over the two days. My Bilsteins are not adjustable. When I used to run Konis, I'd get the balance close by adjusting the sways, then fine tune with the Konis. Alot of folks try to tune only with the shocks and find the car oversteers entering the turn (transient) and understeers in the middle of the turn (steady-state). They don't realize the shocks only effect balance during the transient part of the turn and the sways effect balance during steady-state. I think the Bilsteins are valved about right for my spring rates, but yes, it would be nice if they were adjustable. A little more damping of the right type would have helped it being a bit looser for turn in, without hurting the ss corners. In theory your suspension has rear bias in total weight transfer, at the stiff setting. It will be interesting to see how stiff you wind up with the rear bar, at VIR. I had the TR 1 step softer vs autox, but that was a very slight adjustment, considering the holes were 1" apart, and I could quite easily twist the 9/16" bar I had designed, with bare hands. I've got most of the 2014 schedule worked out. The events in yellow for June, July, August may be in conflict with family activities - fingers crossed. 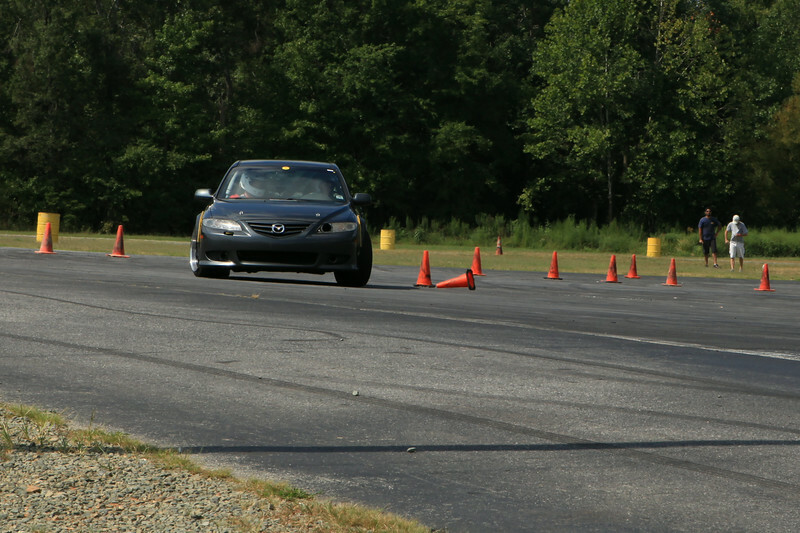 The big question is Oct 4-5: Do I do a track event at CMP (love that place) or compete for the North Carolina Autocross Championship (4 NC clubs compete) in Charlotte? There is a HPDE at CMP in June that I will miss due to a family conflict. So my next track event may be in July. 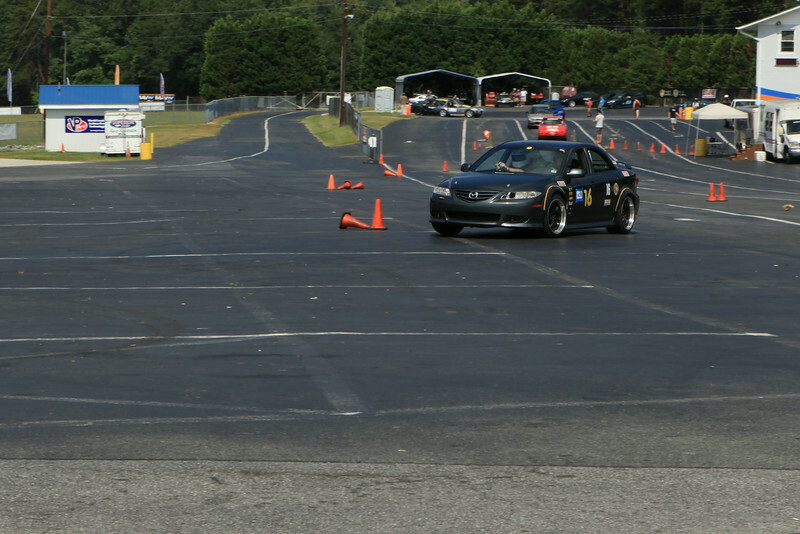 Another highlight is the annual 24hr Autocross in August - tons of fun, but bring extra tires and brake pads! Need to get the car back together before June 15! 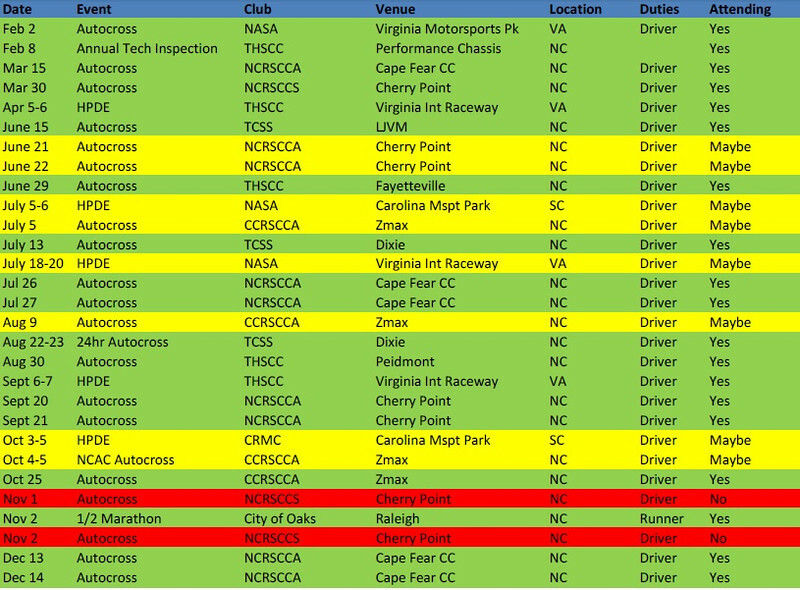 It's been a busy summer with a bunch of Auto-X, and still more to come. I haven't posted updates for each one, but here's my last run from yesterday. It was a very small venue and a very tight, slow course. The new Spec clutch is working great and check out my improved telemetry with engine RPM and Throttle position! Headed to VIR next weekend!! Two days on the full 21-turn, 3.27mi course!